James Purefoy is back as the seductive serial killer Joe Carroll in Fox’s new TV series ‘The Following’. 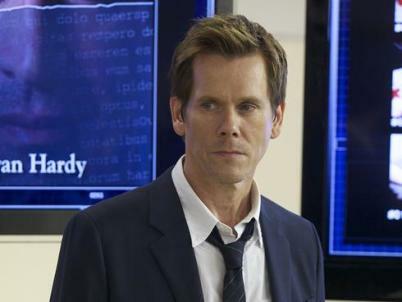 The charismatic killer is pitted against Kevin Bacon, who plays the role of an FBI agent named Ryan Hardy, who captures the killer and saves his final victim. The cat and mouse relationship between the two lead actors forms the crux of the story. The first episode of the show gives an introduction into the minds of the two protagonists and keeps the audience on the edge of their seats. In the first hour of his first TV venture, Bacon remains successful in getting a step ahead of the serial killer, who has an Edgar Allan Poe obsession. Viewers also get an insight to the life of the beautiful victim, whom Bacon saves and consequently becomes the centre point of a new story that takes place a decade later. Carroll did not waste his time in prison and gathered his followers to help him complete his work to kill his last victim, the job that had remained unfinished due to Hardy’s persistence. The first episode had it all, the suspense, the thrill, brilliant acting by both Purefoy and Bacon. The story is yet to unfold and the drama will continue to thrill us with new sinister twists and turns every Monday at 9 PM EST on Fox.